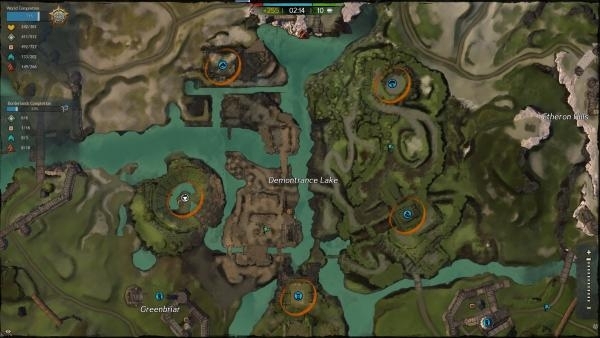 There isn’t much time left to get the WvW Spring Tournament 2014 Veteran meta-achievementso this guide focuses on getting this done as quickly as possible. The focushere will be solely on doing all the content within Edge of the Mists and forten achievements alone so you can get it done fast. Spending every day in theMists, for about an hour, should get you all of these achievements to net youthat title and Tournament Tickets. Big Spender requiresyou to spend 250 Badges of Honor. This is the easiest achievement and workswell with another achievement here. Head into Edge of the Mists and to speakwith a Laurel Merchant once you have fifty Badges of Honor and ten laurels.Purchase five Tastes of Liquid World Experience from this merchant and drinkthem immediately. If you don’t have enough Laurels, but allthe Badges of Honor, head over to the Siege Master and hit the Blueprints(Badge) tab. Purchase yourself forty two Flame Ram Blueprints (the most usefulblueprint) and be done with this achievement. If you don’t need the blueprintsgo ahead and sell them on the trading post or set them in your guild stash forfuture WvW games. If you managed to purchase those fiveTastes of Liquid World Experience from Big Spender then you arealready ahead on this achievement. You need forty World Ranks and those Tasteswill give you about a level each. The other thirty five levels will comequickly as you just play through the Mists and run around with a commander toget tasks done. From here the achievements are simple andmerely require you to play through Edge of the Mists behind a commander leadinga decent zerg. Your focus is on The Keep Is the Thing, No Tower TooHigh, Well Aren’t You Special, Reactor Robber and SentryCapturer Extraordinaire. This means you will need to capture fifteen keeps,forty towers, forty special objectives, fifty five reactors and ninety fivesentry points. This will undoubtedly pit you up against enemy zergs and guardsso that you can getGuard Slayer, Mists Invasion Defender and AdvancedMists Invasion Defender at the same time. 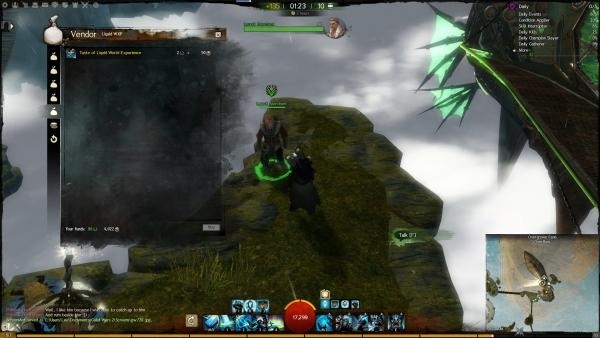 Some alternative achievements to get, ifFriday is rolling around and you aren’t quite there yet but need a fastachievement, is to get Obsidian Leaper in the Mists and Shiniesin the Sky. These two achievements require you to go through two the ObsidianSanctum jumping puzzle and one of the Borderlands jumping puzzles andsuccessfully complete them. Another achievement to consider is Masterof Ruins which requires you to capture the ruins in the Borderlands maps.This achievement is fast due to how the ruins naturally turn over to a neutralstate, for quick recaptures. The problem is that you will likely see someenemies and have to fight them by yourself or you will be competing with peoplefrom your server for the captures.